Each chapter, kids will recognize animals' great capacity for love and devotion, which reflects God's enduring love for us all. This book strengthens kinships with animals, encourages humane treatment, and helps kids build lifelong bonds with animal friends. Includes beautiful color photos of the actual animals, relevant and easy-to-read Bible verses, and ways children can give back and help animals. Dog in the Dentist Chair by Peggy Frezon was published by Paraclete Press (MA) in January 2019 and is our 66007th best seller. 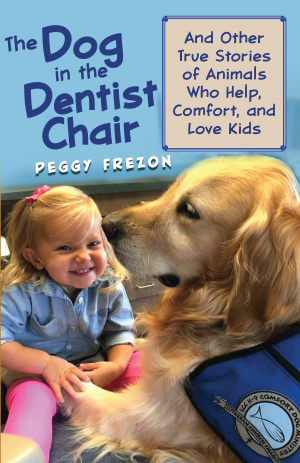 The ISBN for Dog in the Dentist Chair is 9781640601710. Be the first to review Dog in the Dentist Chair! Got a question? No problem! Just click here to ask us about Dog in the Dentist Chair.